I am under no illusions here. We can all work out where West Ham will get the 42 points needed to avoid relegation and none of us bank on Man City at home providing three of them. Man City is one of the three top sides in the Premier League and my expectation is that from the six games against them, Man United and Chelski we will do a Eurovision Norway. Nul Points. I would be delighted to be wrong. The good news is that I am not attending what is the late Kick Off game today. 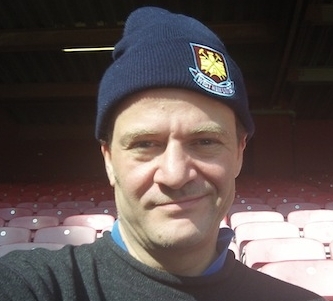 My presence at Upton Park dramatically increases the chances of defeat so I shall stay away and crack on with writing a book. The other good news is that the team more or less picks itself with the only real debate being Yossi or Maiga on the wing up front. I hope that Yossi starts. You never know with football and with the Winnifrith curse lifted we might just spring a surprise at the Boleyn today but I doubt it. Citeh can be a bit hit or miss on occasion but they have an incredibly talented team. If they play as they can then the shaky West Ham defence could be taken apart. I hope that it is an enjoyable game and that West Ham does at least make a game of it as we did against Arsenal. And now to the next few weeks. That would see us on 24 points as we enter the New Year with half the season gone and still to face Wigan, Norwich, Reading and QPR at home as well as Villa and Fulham away – that would be 42 points with anything else a bonus. No games in the Premiership are easy. My 10 points more by Christmas assessment is not that optimistic. We might just pick up the odd point away at White Hart Lane (oh please, God let us win against a 10 man Spurs with Defoe sent off early on) or at Newcastle. There might be an upset against a big three club (again God, if you are reading and feeling generous, Fat Frank sent off early and a win against 10 man Chelski would be pleasant). But Stoke and Liverpool (based on current form) at home are winnable and Reading should hold no fears for anybody. Frankly Everton at home is winnable but having seen numerous games with my Everton supporting pal John O’Callaghan at Upton Park over the years, I just assume we will lose again. So the next game that matters (other than all of Swindon’s games naturally) is Stoke at home. The bad news: The Goddess, Derek Musgrove and I are attending. For today. COYI let’s hope for an upset. And good luck to Swindon who take on Macclesfield Town from the Conference in the FA Cup. If they cannot win that home tie Paolo di Canio will be having a few words. Fingers crossed for that one. I look forward to the start of another glorious cup run for di Canio’s men.